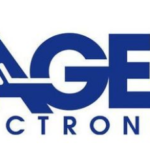 Sager Electronics is now stocking Molex’s Ultra-Fit and Nano-Fit power connectors. Ultra-Fit power connectors solve four key design challenges while offering the premium housing features of proven Mini-Fit and Micro-Fit 3.0 connector systems: color-coded housings mitigate the risk of mis-mating, optional TPA retainers significantly reduce terminal back-out, the streamlined design is 17% smaller than competing power connectors provides space savings, and an ultra-low mating force reduces operator fatigue when mating numerous high-circuit connectors. Also in stock at Sager Electronics are Molex’s Nano-Fit power connectors, which feature both fully protected header terminals and a small package. They also offer keying options to ensure proper mating and terminal position assurance (TPA) to reduce terminal back-out. Typical applications for the Ultra-Fit and Nano-Fit series include aerospace/defense, consumer/home appliance, industrial, lighting, medical, telecommunications, and transportation.